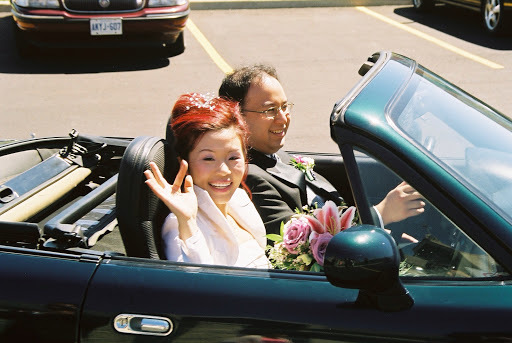 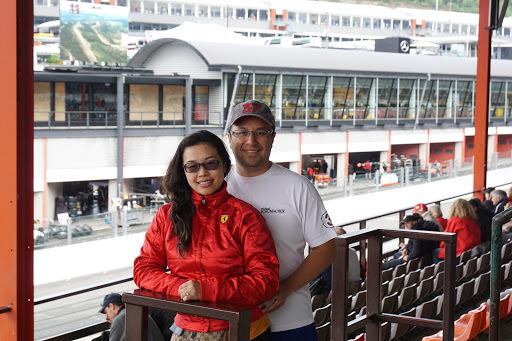 To celebrate our 10th anniversary, my dear wife Cecilia planned a four-country trip to Europe (Belgium, Luxembourg, France, Germany). 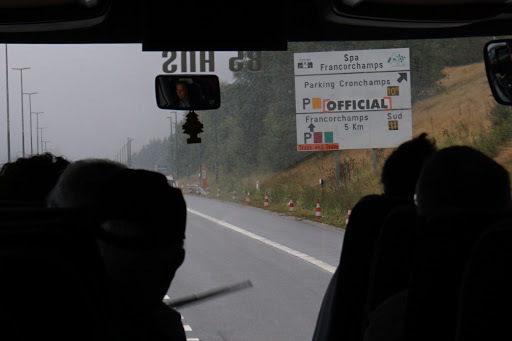 In addition to enjoying the tourist attractions, food, and shopping, we also made three car-focused stops. 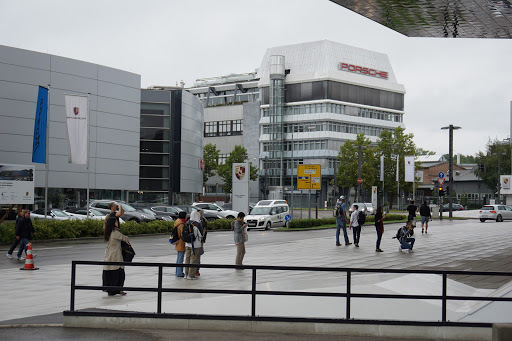 Stuttgart was the final city of our trip. 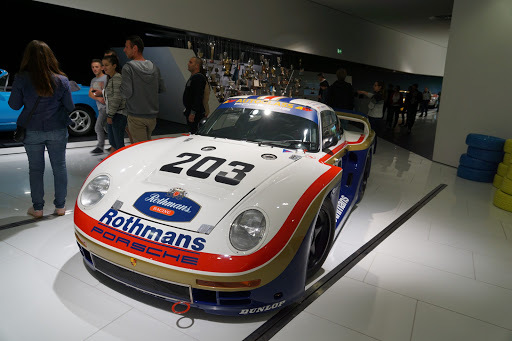 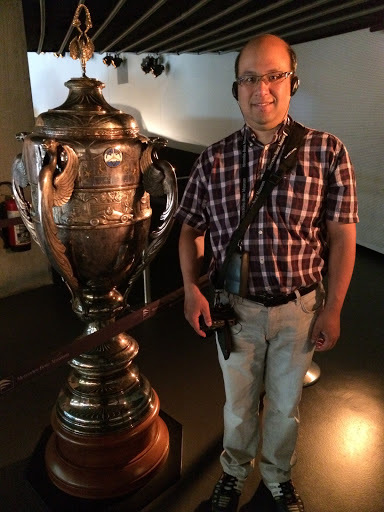 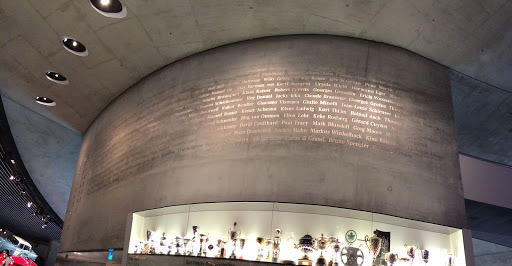 We visited the Porsche Museum in Zuffenhausen. 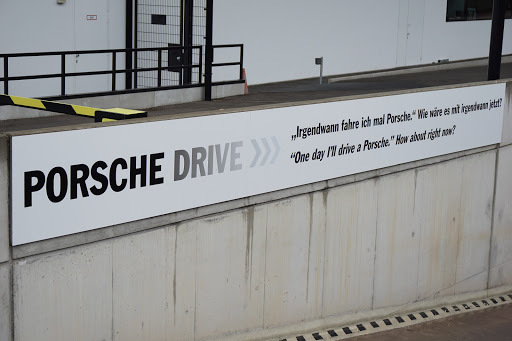 It was a very special feeling to arrive at Porscheplatz as new Porsche owners (Cecilia planned our trip long before we bought our 911). 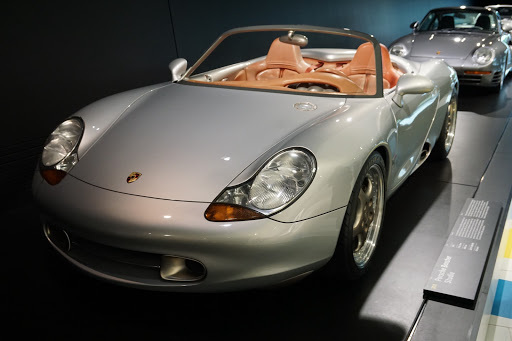 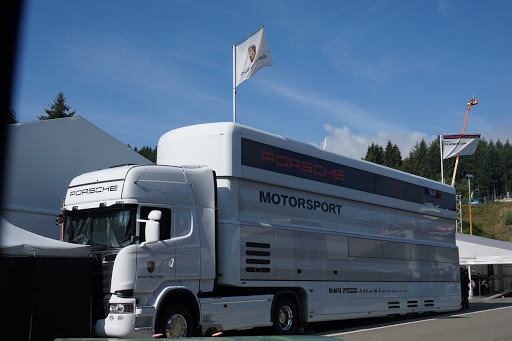 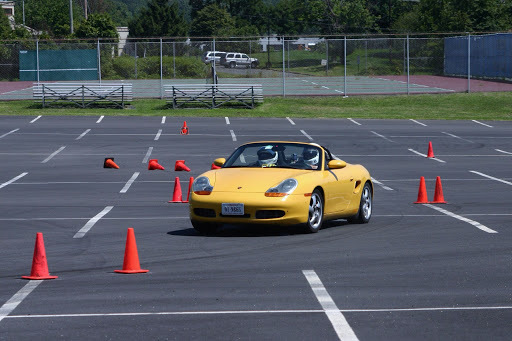 And finally, the Porsche that opened the doors for Team Shum: the Boxster Concept Car (with the 959 in the background). 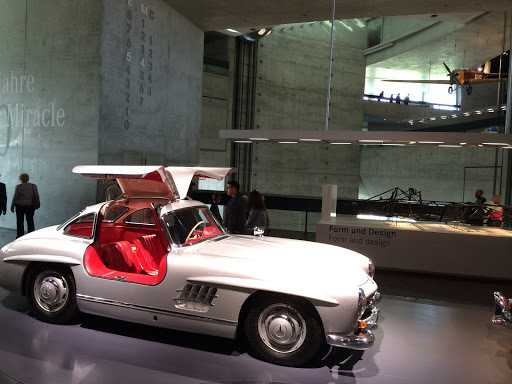 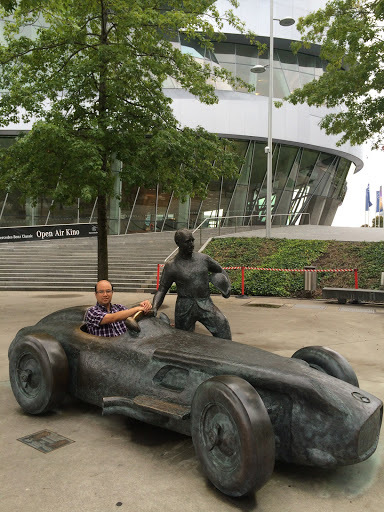 We also stopped by the Mercedes-Benz museum (also in Stuttgart). 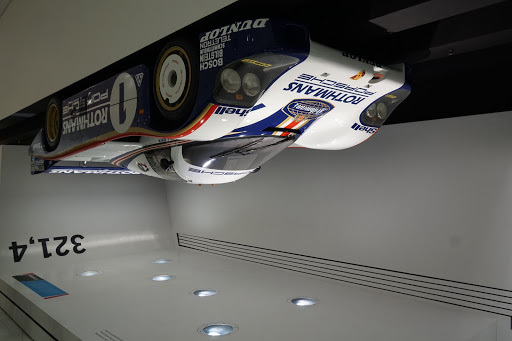 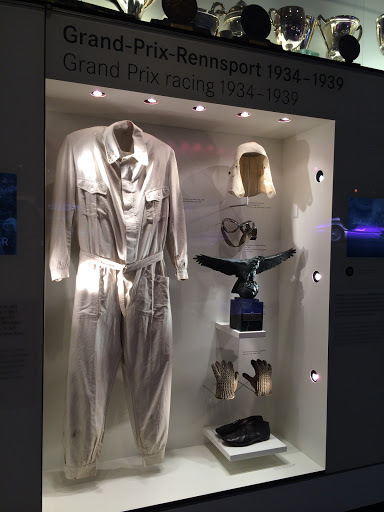 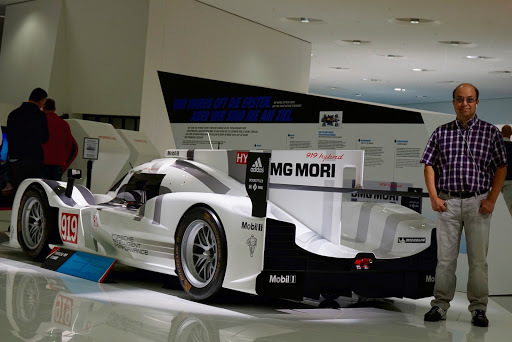 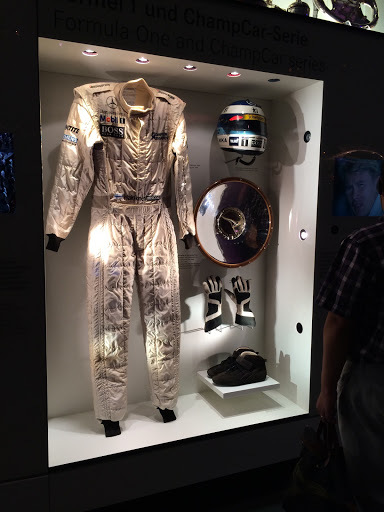 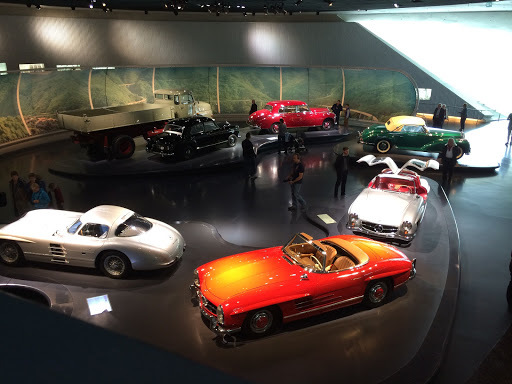 While much larger than the Porsche museum, its exhibits focused on automotive history and was somewhat disappointing from a racing standpoint. 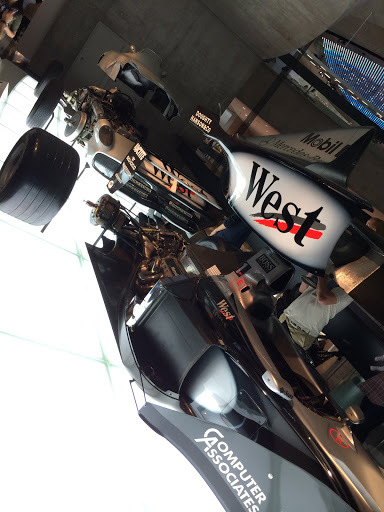 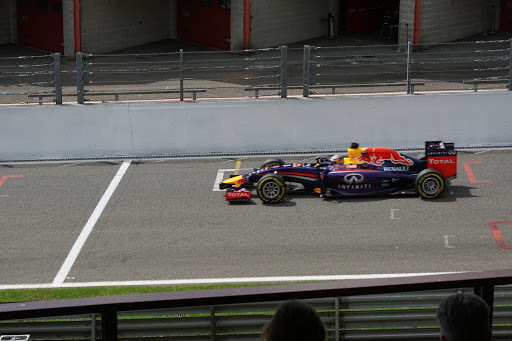 The only great section was the W196, the F1 Championship-winner. 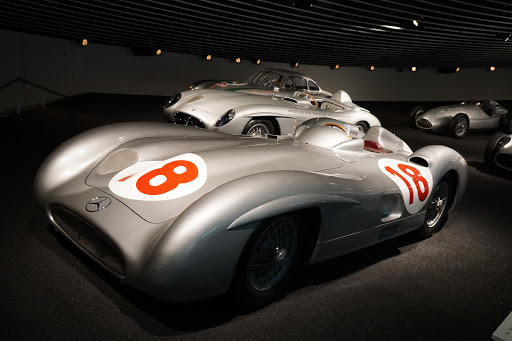 The W196 “Type Monza” was a streamlined F1 racecar, and was later succeeded by the open wheel version. 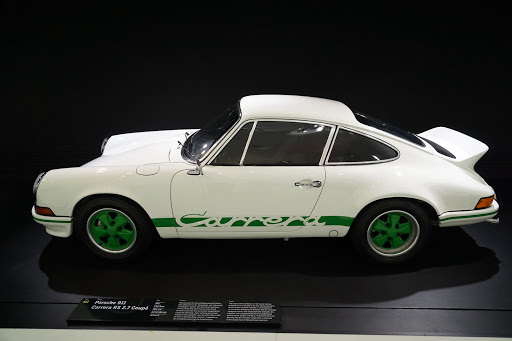 The open wheel version was introduced at the 1954 Nurburgring GP, after the streamlined version was exposed of it weakness at racetracks with high speed corners (Silverstone). 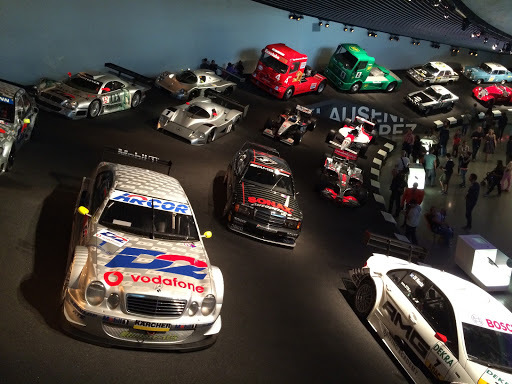 The Motorsport section lacked focus and just had all the cars thrown into one area. 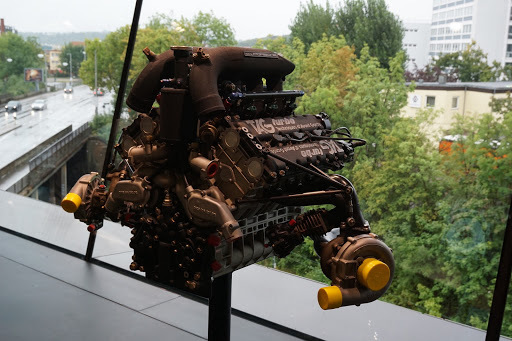 Mercedes was merely the engine supplier to the most of these machines (Sauber C9, Penske Indy, McLaren F1) again highlighting its lack of racing hertiage.